Creamy garlic butter really makes this dish. Melt the butter and add the garlic. 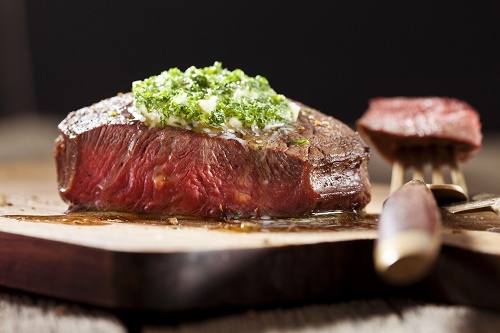 Preheat the grill to medium high and cook seasoned steak for five minutes per side or until done to your taste. Spread garlic butter over the meat before serving.